THE LAW, first published as a pamphlet in June, 1850, is now a hundred and fifty years old. When a reviewer wishes to give special recognition to a book, he predicts that it will still be read "a hundred years from now." And because its truths are eternal, it will still be read when another century has passed. These truths are particularly true and evident today. 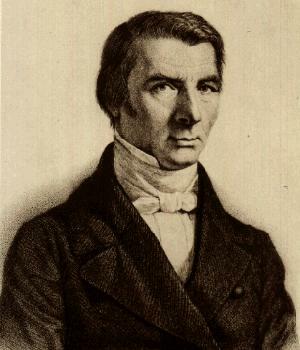 Frédéric Bastiat was a French economist, statesman, and author. He did most of his writing during the years just before - and immediately following -- the French Revolution of February 1848. This was the period when France was rapidly turning to complete socialism. As a Deputy to the Legislative Assembly, Mr. Bastiat was studying and explaining each socialist fallacy as it appeared. He explained how a system of socialism must inevitably degenerate into a system of communism, totalitarian despotism, and from there, when the system becomes intolerably oppressive, into lawlessness and anarchy, inevitably to revolution and war. But most of his countrymen and the world have chosen to ignore his logic. I have here again presented Bastiat's THE LAW to the Sovereign Citizens of the Web because the same situation exists in the United States and the World today at the turn of the 21st Century as existed in the France of 1848. The same socialist-communist ideas and plans that were then adopted in France have now swept America. The explanations and arguments then advanced against socialism by Mr. Bastiat are -- Word For Word -- equally valid today. His thoughts on THE LAW deserve a serious hearing by all concerned and honorable citizens of the United States and the World. We cannot long afford to continue to ignore his logic. This 1950 translation of THE LAW was done fifty years ago by Dean Russell of THE FOUNDATION FOR ECONOMIC EDUCATION, INC., IRVINGTON-ON-HUDSON, NEW YORK. Mr. Russell's objective was an accurate rendering of Mr. Bastiat's words and ideas into twentieth century, idiomatic English. A nineteenth century translation of THE LAW, made in 1853 in England by an unidentified contemporary of Mr. Bastiat, was of much value as a check against this translation. In addition, Dean Russell had his work reviewed by Bertrand de Jouvenel, the noted French economist, historian, and author who was also thoroughly familiar with the English language. While Mr. de Jouvenel offered many valuable corrections and suggestions, it should be clearly understood that Mr. Russell bears full responsibility for the translation. Copyright 1950, by Dean Russell. Permission to reprint granted without special request. But there is also another tendency that is common among people. When they can, they wish to live and prosper at the expense of others. This is no rash accusation. Nor does it come from a gloomy and uncharitable spirit. The annals of history bear witness to the truth of it: the incessant wars, mass migrations, religious persecutions, universal slavery, dishonesty in commerce, and monopolies. This fatal desire has its origin in the very nature of man -- in that primitive, universal, and insuppressible instinct that impels him to satisfy his desires with the least possible pain. Woe to the nation when the latter purpose prevails among the mass victims of lawful plunder when they, in turn, seize the power to make laws! The nature of law is to maintain justice. This is so much the case that, in the minds of the people, law and justice are one and the same thing. There is in all of us a strong disposition to believe that anything lawful is also legitimate. This belief is so widespread that many persons have erroneously held that things are "just" because law makes them so. Thus, in order to make plunder appear just and sacred to many consciences, it is only necessary for the law to decree and sanction it. "That science no longer be taught exclusively from the point of view of free trade (of liberty, of property, and of justice) as has been the case until now, but also, in the future, science is to be especially taught from the viewpoint of the facts and laws that regulate French industry (facts and laws which are contrary to liberty, to property, and to justice). That, in government-endowed teaching positions, the professor rigorously refrain from endangering in the slightest degree the respect due to the laws now in force." --- General Council of Manufacturers, Agriculture, and Commerce, May 6, 1850. Under the pretense of organization, regulation, protection, or encouragement, the law takes property from one person and gives it to another; the law takes the wealth of all and gives it to a few -- whether farmers, manufacturers, shipowners, artists, or comedians. Is there any need to offer proof that this odious perversion of the law is a perpetual source of hatred and discord; that it tends to destroy society itself? If such proof is needed, look at the United States [in 1850]. There is no country in the world where the law is kept more within its proper domain: the protection of every person's liberty and property. As a consequence of this, there appears to be no country in the world where the social order rests on a firmer foundation. But even in the United States, there are two issues -- and only two -- that have always endangered the public peace. Its is a most remarkable fact that this double legal crime - a sorrowful inheritance of the Old World - should be the only issue which can, and perhaps will, lead to the ruin of the Union. It is indeed impossible to imagine, at the very heart of a society, a more astounding fact than this: The law has come to be an instrument of injustice. And if this fact brings terrible consequences to the United States - where legal plunder exists only in the instances of slavery and tariffs - what must be the consequences in Europe, where the perversion of law is a principle; a system? "The war that we must fight against socialism must be in harmony with law, honor, and justice." Now this must be said: When justice is organized by law -- that is, by force -- this excludes the idea of using law (force) to organize any human activity whatever, whether it be labor, charity, agriculture, commerce, industry, education, art, or religion. The organizing by law of any one of these would inevitably destroy the essential organization -- justice. For truly, how can we imagine force being used against the liberty of citizens without it also being used against justice, and thus acting against its proper purpose? * Translator's note: The French word used by Mr. Bastiat is spoliation, meaning to rob, plunder or despoil, to deprive of something by force of law. * If the special privilege of government protection against competition -- a monopoly -- were granted only to one group in France, the iron workers, for instance, this act would so obviously be legal plunder that it could not last for long. It is for this reason that we see all the protected trades combined into a common cause. They even organize themselves in such a manner as to appear to represent all persons who labor. Instinctively, they feel that legal plunder is concealed by generalizing it. Present-day writers -- especially those of the socialist school of thought -- base their various theories upon one common hypothesis: They divide mankind into two parts. People in general -- with the exception of the writer himself -- form the first group. The writer, all alone, forms the second and most important group. Surely this is the weirdest and most conceited notion that ever entered a human brain! According to these writers, it is indeed fortunate that Heaven has bestowed upon certain men -- governors and legislators -- the exact opposite inclinations, not only for their own sake but also for the sake of the rest of the world! While mankind tends toward evil, the legislators yearn for good; while mankind advances toward darkness, the legislators aspire for enlightenment; while mankind is drawn toward vice, the legislators are attracted toward virtue. Open at random any book on philosophy, politics, religion or history, and you will probably see how deeply rooted in our country is this idea -- the child of classical studies, the mother of socialism. In all of them, you will probably find this idea that mankind is merely inert matter, receiving life, organization, morality, and prosperity from the power of the state. And even worse, it will be stated that mankind tends toward degeneration, and is stopped from this downward course only by the mysterious hand of the legislator. Conventional classical thought everywhere says that behind passive society there is a concealed power called law or legislator (or called by some other terminology that designates some unnamed person or persons of undisputed influence and authority) which moves, controls, benefits, and improves mankind. * Translator's note: The parenthetical expressions and the italicized words throughout this book were supplied by Mr. Bastiat. All subheads and bracketed material were supplied by the translator. He was a witness to the power of Louis XIV. This, plus the fact that he was nurtured in the classical studies and the admiration of antiquity, naturally caused Fenelon to accept the idea that mankind should be passive; that the misfortunes and the prosperity -- vices and virtues - of people are caused by the external influence exercised upon them by the law and the legislators. Thus, in his Utopia of Salentum, he puts men -- with all their interests, faculties, desires, and possessions -- under the absolute discretion of the legislator. Whatever the issue may be, persons do not decide it for themselves; the prince decides for them. The prince is depicted as the soul of this shapeless mass of people who form the nation. In the prince resides the thought, the foresight, all progress, and the principle of all organization. Thus all responsibility rests with him. * Translator's note: What was then known as Paraguay was a much larger area than it is today. It was colonized by the Jesuits who settled the Indians into villages, and generally saved them from further brutalities by the avid conquerors. Now it is true that if one considers the sheer pleasure of commanding to be the greatest joy in life, he contemplates a crime against society. It will, however, always be a noble ideal to govern men in a manner that will make them happier. "He who would dare to undertake the political creation of a people ought to believe that he can, in a manner of speaking, transform human nature; transform each individual -- who, by himself, is a solitary and perfect whole -- into a mere part of a greater whole from which the individual will henceforth receive his life and being. Thus the person who would undertake the political creation of a people should believe in his ability to alter man's constitution; to strengthen it; to substitute for the physical and independent existence received from nature, an existence which is partial and moral. * In short, the would-be creator of political man must remove man's own forces and endow him with others that are naturally alien to him." * Translator's note: According to Rousseau, the existence of social man is partial in the sense that he is henceforth merely a part of society. Knowing himself as such -- and thinking and feeling from the point of view of the whole -- he thereby becomes moral. "The climate is the first rule for the farmer. His resources determine his procedure. He must first consider his locality. If his soil is clay, he must do so and so. If his soil is sand, he must act in another manner. Every facility is open to the farmer who wishes to clear and improve his soil. If he is skillful enough, the manure at his disposal will suggest to him a plan of operation. A professor can only vaguely trace this plan in advance because it is necessarily subject to the instability of all hypotheses; the problem has many forms, complications, and circumstances that are difficult to foresee and settle in detail." "My Lord, assume the character of Lycurgus or of Solon. And before you finish reading this essay, amuse yourself by giving laws to some savages in America or Africa. Confine these nomads to fixed dwellings; teach them to tend flocks . . . Attempt to develop the social consciousness that nature has planted in them . . . Force them to begin to practice the duties of humanity . . . Use punishment to cause sensual pleasures to become distasteful to them. Then you will see that every point of your legislation will cause these savages to lose a vice and gain a virtue. Impartiality in law consists of two things: the establishing of equality in wealth and equality in dignity among the citizens . . . As the laws establish greater equality, they become proportionately more precious to every citizen . . . When all men are equal in wealth and dignity -- and when the laws leave no hope of disturbing this equality -- how can men then be agitated by greed, ambition, dissipation, idleness, sloth, envy, hatred, or jealousy? Actually, what is the political struggle that we witness? 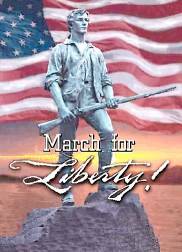 It is the instinctive struggle of all people toward liberty. And what is this liberty, whose very name makes the heart beat faster and shakes the world? Is it not the union of all liberties -- liberty of conscience, of education, of association, of the press, of travel, of labor, of trade? In short, is not liberty the freedom of every person to make full use of his faculties, so long as he does not harm other persons while doing so? Is not liberty the destruction of all despotism -- including, of course, legal despotism? They desire to set themselves above mankind in order to arrange, organize, and regulate it according to their fancy. My attitude toward all other persons is well illustrated by this story from a celebrated traveler: He arrived one day in the midst of a tribe of savages, where a child had just been born. A crowd of soothsayers, magicians, and quacks -- armed with rings, hooks, and cords -- surrounded it. One said: "This child will never smell the perfume of a peace-pipe unless I stretch his nostrils." Another said: "He will never be able to hear unless I draw his ear-lobes down to his shoulders." A third said: "He will never see the sunshine unless I slant his eyes." Another said: "He will never stand upright unless I bend his legs." A fifth said: "He will never learn to think unless I flatten his skull."